Mikhaïl Bouzine — young russian pianist and composer. He is currently studying last year of Moscow State Tchaikovsky Conservatory (piano class of prof. A. Shibko, composition class of prof. V. Tarnopolski, harpsichord class of prof. T. Zenaïshvili). Soloist of KYMATIC contemporary music ensemble (piano, keyboards, harpsichord). 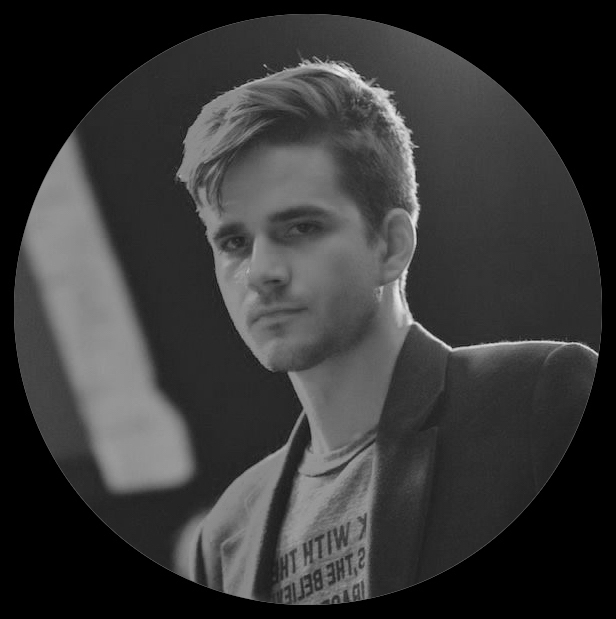 He has participated in piano master-classes of Alexei Lubimov (Perm, Russia, 2017), Giovanni Valentini (Pesaro, Italy, 2018), Peter Donohoe (Mariestad, Sweden, 2018), Nicholas Hodges (Graz, Austria, 2019); composition master-classes of Leif Segerstam (Moscow, 2013), Vyacheslav Artyomov (Moscow, 2016). As a composer, he currently pursues an idea of composing a grand meta-cycle on each letter of pan-slavic alphabet (since 2012). Until 2013, Mikhaïl was running a music netlabel called «Koivu», on which he had released a vast array of contemporary european underground music, including three albums of his own improv project «ShchRTTTShch».